Are you looking for a reliable service provider who can offer you boiler repair and maintenance around Nottingham? Then, Eco Efficient Nottingham is the ideal option for you. We handle boiler repairs and servicing for commercial and residential establishments. We carry with us excellent knowledge regarding gas, electric and renewable power system repairs. We not only install, but we are the best when it comes to timely and responsive repair services. We have the skills and resources to handle every boiler system and brand in the market. We help our customers to troubleshoot and fix various hitches that could cause operational inconveniences any time or day. No matter your location around Nottingham, we have your back. Our experienced network of technicians covers Nottingham and the surrounding areas. We dispatch engineers to your door anytime you ask for help. Our mobile teams cover the entire region including Bingham, Hucknall, West Bridgford, Beeston, and Carlton. We waste no time, and our energy is focused on repairing your broken boiler system to provide efficiency and to prevent repeat faults. Don’t worry about our mobile vans, since they are fully loaded with high-quality parts; Gas Safe verified experts who have the dedication towards customer happiness. At Eco Efficient, our service call out teams are highly certified and tested. We only employ those who know the standards regarding health and safety. We can tackle an emergency, and we can do routine repairs with ease. We are well versed with every model in the market. 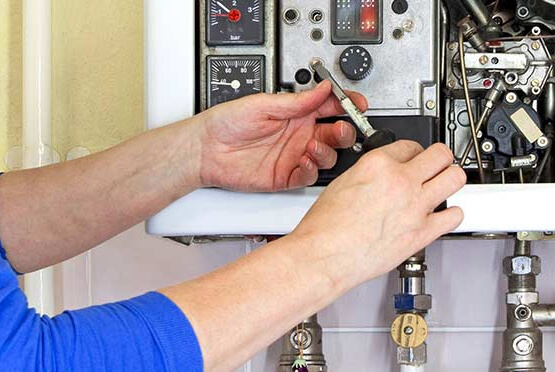 If you want your old boiler system repaired, we won’t hesitate to provide satisfactory service. We offer service guarantees that our competitors cannot afford. With 15 years of experience, we have faith in our workmanship, and we will stand with every repair job we perform. Call us on our 24-hour service line, and we will be happy to respond fast. If your boiler is leaking or some components are worn out, you need the services of emergency boiler engineers. We train our experts to deal with all manner of emergencies, and we are confident that our crew will spot the problems and offer quick solutions. Why wait for a minor boiler issue to cost a fortune? We give your system a clean bill of health after every check-up or repair since we want you to enjoy comfort and convenience. Dealing with boiler fault as soon as they appear is crucial. We offer quick options but not before we explain our labour costs. We want you to enjoy efficiency and save money in the process. Our proactive way of doing things lets us guide you with repair requests; big and small. Trust our experts to handle you politely when they come over to your premises. What’s more, they are insured, and they will leave your premises better than they found it. When we are done, we bill you based on the free, no-obligation quote we provided initially. With us, you can say goodbye to hidden charges. Call us and enjoy quality services and a wad of pounds in savings.